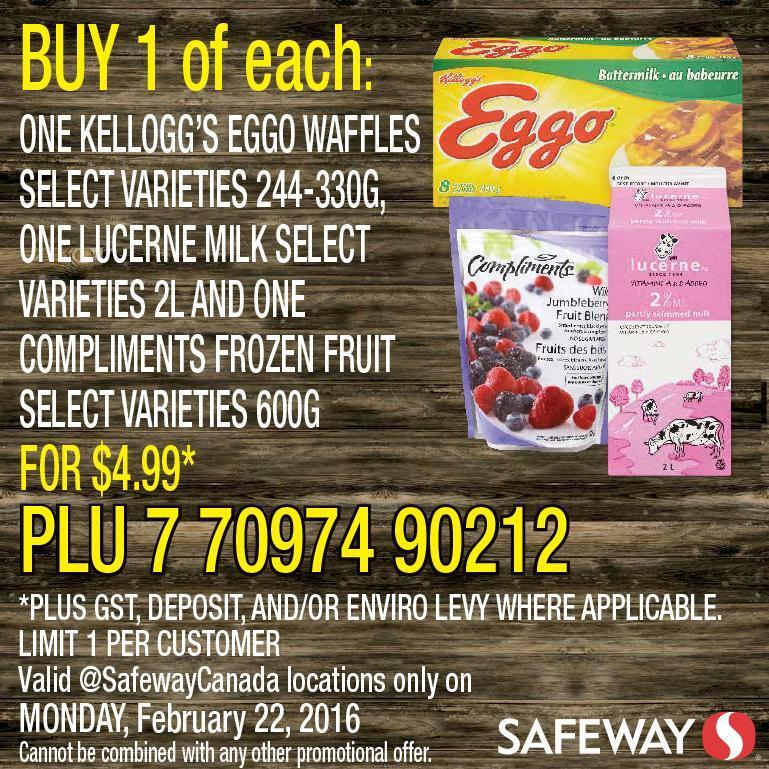 Time for another Safeway Twitter Deal! Easy to redeem, pick up the items as shown exactly in the picture. At checkout you can show it on your smartphone or print it out. 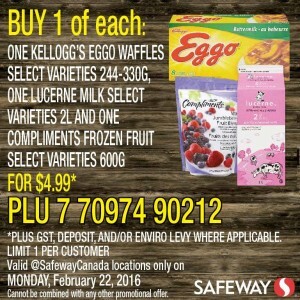 For $5 you get a 2L milk, box of Eggo waffles and a bag of frozen fruit! Great deal!